Award-winning veteran director Jules Aaron has been putting his directorial stamp on plays and musicals for several decades. Mr. Aaron took time out of his busy schedule to talk with us about his current project, The Group Rep’s production of Agatha Christie’s New York Critic Circle and Tony award-winning play WITNESS FOR THE PROSECUTION featuring guest artist Salome Jens, running January 27 through March 12, 2017 at the Lonny Chapman Theatre in North Hollywood. Last season, Jules Aaron directed the most successful play the Group Rep has ever produced, the sold-out, twice extended musical THAT LOVIN’ FEELIN’. When did you first get interested in theatre as a performer and later as a director? I performed since I was six years old through graduate school. I made two close friends — Bernadette Peters, who I went out on auditions with when I was young; and Lily Tomlin in undergraduate school at Wayne State University. I became close to Lily and her brother. She and I did reviews together. When I saw Olivier do Beckett at 20, I knew I was not going to be a real actor. I became interested in directing during my PHD program at NYU, and my former wife and I had a theatre in a loft in the West Village. My first show, THE MAIDS, was fortunately well received by The Village Voice and given a good review. What was your first directing experience and what did you learn from it? 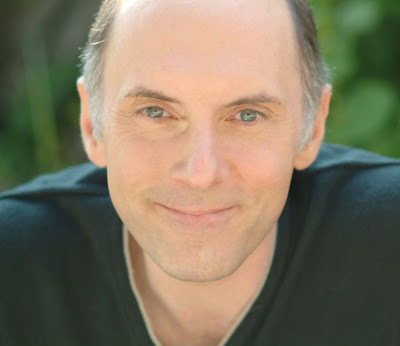 Since as an actor I had no connection with my inner feelings, I learned to find that inner life in the actors I worked with. I was always good at orchestration and visuals, but as they say - casting is 2/3 of directing, and I’ve learned from wonderful actors. Did you have a mentor along the way? Richard Schechner, the king of environmental theatre, was my mentor and Joe Papp and his wife Gail Merrifield at The Public Theatre in New York also took me under their wing and I learned a lot from them. How did this particular project come about and was Salome Jens attached when you took on the directing assignment? The Group Rep originally had The Visit on their schedule with Salome and Mitch Ryan as guest artists with me directing. As it turned out, the rights to the play were not available. Salome’s brother-in-law, the well-respected character actor Anthony Zerbe, suggested WITNESS which also had a plumb role for Salome. In addition, there were roles to go round for Group Rep company members. You’ve worked with Salome in the past. What is it about Salome and her creative process that makes for a good working relationship with you? Salome and I have worked on five or six shows together, with A Long Day’s Journey Into Night being one of the most satisfying experiences. We’ve developed a type of shorthand in regards to developing characters, even working privately on her character before joining the cast for an official rehearsal. Salome and I are blunt and to the point about her character’s choices. We are a symbiotic spirit - - sharing a sense of humor, in a loving relationship of both friendship and artistry. Agatha Christie fashioned this play in 1952 from an early excellent short story of hers which was subsequently made into a feature film. The play has a different ending than the short story; and Christie also took care to develop the characters fully, which was not usually the case with thrillers written at that time. Please note that in the early 1950s, when Witness for the Prosecution takes place, women were taking their place as part of the justice system. Prime Minister Margaret Thatcher was a barrister during that time. But, true to the time, the role of Mayhew had traditionally been played by a male actor. However, I chose to partner the Sir Wilfred character with a woman solicitor (Mrs. Mayhew) to second him in court. With the rising role of women in law and politics, Mrs. Mayhew becomes a vital part of the defense team – especially in the dealings with defendant Leonard Vole’s infinite charm, and the maneuverings of his enigmatic wife Romaine Vole. What do you want the audience to take away or perhaps feel, from having seen this play? I want the audience to experience the passionate love story disguised as an intricate cat and mouse game between the defendant’s wife Romaine Vole and his defense attorney Sir Wilfred - - to feel the twists, turns and surprises - - and have some laughs along the way. I’m reminded of when Craig Lucas and I were working on two projects at South Coast Repertory (Craig on the premiere of Prelude to a Kiss) and I on Marry Me A Little (libretto by Craig and music by Sondheim), we became friends. In our discussion of the journey of a play, Craig compared a good production to a rollercoaster ride. The audience gets into the car, you move them through unexpected loops and drops, and they all end up experiencing an exciting ride. That became my credo for good story telling. I hope that this play will be great entertainment at a time when we need to be lifted out the reality that surrounds us, for a few hours. You’re very busy with multiple projects both in Los Angeles and New York. What’s up next for you? I am directing Separate Tables for a May opening at Theatre 40 in Beverly Hills. After that, I’ll be helming Daybreak, a play about two women whose lives were affected by the Armenian Holocaust celebrating the endurance of the human spirit, which goes up at the Odyssey in September. In addition, I continue my work on the musical “I Will, I Can,” inspired by the life of Sammy Davis, Jr targeted to open in 2018. Witness for the Prosecution runs January 27 – March 12, 2017. Fridays/Saturdays at 8:00 pm. Sunday matinees at 2:00 pm. Lonny Chapman Theatre 10900 Burbank Boulevard, North Hollywood 91601. Tickets: $25. Students/Seniors with ID: $20. Groups of 10+: $15. Buy tickets www.thegrouprep.com. Info: (818) 763-5990. Actress Salome Jens certainly needs no introduction. She has starred on Broadway, in film and on television over the years creating a mystique that is original and totally alluring. The very sound of her voice holds me captive. She will open at Group rep in NoHo on January 27 in the classic Witness for the Prosecution. I caught up with her during her busy schedule, and here's what she had to say about the play and the new production. Explain the choice of Witness for the Prosecution. Is it a favorite? After Blonde Poison, that I did at Theatre 40 with director Jules (Aaron) a year ago, we talked about what we might want to do next and of course, we were looking at Long Day’s Journey Into Night with Mitch Ryan and a couple of other things that might be possible, as far as rights were concerned, and the possibility of a company and what was going on with Equity and all the things going on right now. And it did seem like this play was a possibility. It was suggested, first of all, by my brother-in-law Anthony Zerbe, and I suggested to Jules that he might want to read it ... and I read it again. Certainly it’s a lovely play, and it’s so beautifully written by Agatha Christie. It’s kind of a fun challenge for me. And certainly Jules was very excited about it as a possibility. So he took it to the people at GRT and they thought it was a terrific idea – or they certainly liked the idea, and they decided they wanted to produce it. So that’s how it came about. This role suits you so well. Tell me about her. As far as the role is concerned, it’s a bit of a challenge for me in the sense that – what is fun is that I certainly know what Marlene Dietrich did with it in the film. And that’s kind of a glamorous thought. However, it’s got to be what I think of it and from where I come from. And it’s also a challenge doing the Cockney girls and it’s fun and certainly a bit of a challenge for me because I’m no longer a spring chicken so, it’s a bit of a stretch ... and, you know, just a stretch going into the rehearsal process – and we’re doing it, and it’s fun, and it’s a lovely company. So, the rehearsals have started and everything is going well? Yes. Larry Eisenberg is really wonderful in the part of the interrogator Sir Wilfred, and of course Jules is such a wonderful director which is why I always have pleasure doing his plays. So I’m looking forward to having some fun with it now that we’ve got the technical things under our belt - which is certainly learning the text and being able to live in it fully so that’s what we’re about right now. It takes a lot of energy and we’re going for it. Talk a little about your teaching and your love for it. Are you still doing the Graduate program at UCLA? Any TV or film projects on the horizon? Now, I’m still teaching and have my own classes. I’m not teaching at UCLA; I have my private classes. I have a little theater that I rent at the Atwater Village Theater Playhouse so that goes on, and I have my personal students that I’ve had for a time. I’ve got about 20 people in my class right now and, at the moment, I’m not doing anything new in film or television. But I’m always open to that happening, and I hope that it will, so until there’s more to report, I think that’s what I have to offer you darling. I look forward to seeing you opening night and I hope you’ll enjoy the show. 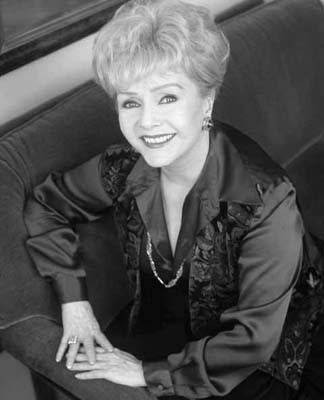 Debbie Reynolds will return to the El Portal from April 29-May 10 for her delightful evening of comedy and song. When I interviewed her in 2004, she had me in stitches as she answered a question doing a Bette Davis impression. After all, who better than Reynolds to do her? She played Davis' daughter in The Catered Affair. She also does Ann Miller and others. What a talented mimic! Reynolds is no stranger to the El Portal. At the time of the interview she was about to do a benefit of Love Letters on its Mainstage with John Saxon. Q: How often do you perform your one-woman show? DR: I do 42 weeks a year, on the road doing night clubs and Vegas, Reno, Tahoe and Atlantic City and all the Indian reservations and different big civic theaters, like the Alex in Glendale. I've been doing that for 30 years or so. Every year I do a Florida tour. Q: How often do you change the show? DR: I change it every year. Different songs, different openings...I just put in a new 40s medley. My audience likes that. A Gershwin medley. Q: You're still in great voice! DR: Well, I learned years ago from Jack Benny, who used to stay at my Palm Springs house... he used to practice the violin. I'd say to him, "Why don't you just fake it for comedy?" He'd say, "No dear, that's not how you do it. You have to keep practicing, if you're really going to be good." So, it's the same with the voice, you have to keep singing. Q: Any comment about Ann Miller's recent passing? DR: I was just devastated. She was one of my favorites, as well as of many others. At MGM, we were all under contract. It was like a school. Everybody there: Ava Gardner, Lana Turner, Janet Leigh, Janie Powell, Kathryn Grayson, we were all friends all these years, since 1949. It's tough when you lose the funniest one. Annie was so loud. She said to me two weeks ago, (in best Miller voice) "Debbie, let me ask you a personal question. Why are you still working? It's ridiculous, you know what I mean, we could go to parties and we could play!" That was just two weeks ago. She had lung cancer, but she didn't tell us. She had osteoporosis, and with an 8 inch bone loss, her head was down on her shoulders. That was clearly why she developped all these other problems. I mean she didn't smoke. She was an athlete; she was a great dancer. She was in top condition when all this happened to her 8 years ago. It was just horrible! She was just fabulous, a greater talent than anyone I could say! She's going to be terribly missed. She had no family, so it's up to her friends to give her a farewell. She was one of a kind. DR: It's fun to get back to acting. I do Will and Grace and a movie once a year, when you can find a part for older women, or a fun part. There are so few. It hit my fancy. I'm doing it for me. Q: The El Portal has been in your neighborhood since you were a little girl, correct? DR: I used to ride my bicycle to go to the movies there for 10 cents. I lived 12 blocks away in North Hollywood. I was raised in Burbank, right on the edge, on Evergreen Street. I was Miss Burbank of 1948 and I'd ride my bike to the El Portal with my girlfreind Jeanette from age of 8 to 17 years. She's coming to see the show. "Is it still pretty, Franny?" (Francis is her real name.) I said, "It's much prettier, Jeanette, you'll see, it's going to cost you more than a dime!" "Should I ride my bike?" I said, "No, bring your Rolls!" Q: I just saw you in The Catered Affair the other night on TCM (Turner Classic Movies), and Robert Osborne was saying how the movie was a turning point in your career. You were terrific in it! DR: Well Richard Brooks (director) didn't want me for the part, but...I was under contract, so Mr. Mayer said, "But, you've got her!" So Brooks was really tough on me, but Bette Davis and Ernie Borgnine were great, and Rod Taylor was wonderful. DR: It's amazing, but when I look at it, I was 20, and certainly untrained. They certainly were not thinking of a dramatic actress. They took me out of my tap class and said, "You're doing The Catered Affair". It shook me up, and I had to work really hard. Bette Davis and Ernie Borgnine got me through it, not Richard Brooks. He considered me a brat. But...(she launches into her best Davis impression)...that's where I started imitating Bette Davis and doing impressions. Q: What's your funniest Bette Davis story? DR: She and Gary Merrill, to whom she was married, were so ill-matched. He used to come in drunk on the sound stage, wearing a little beanie with a propeller on the top. Then we'd try to do a serious scene. It was a very strange mix. There was Barry Fitzgerald with the Irish voice (she imitates his brogue) and you had BETTE DAVIS and you had Gary Merrill with the beanie and then you had Marty/ Ernie Borgnine sitting there, a serious New York actor and then Rod Taylor from Australia, trying to do an American accent. And then you had Tammy who wasn't yet Tammy. And then the cameraman who tried to run the camera over the director; they hated him so much. It was a real mixture of emotions, but all the actors loved each other. Q: Was Bette easy to get along with? DR: She was. She was older at that time, and she wanted to look very ordinary. It was miscasting in a way, but she did it very well, and she was very kind to me. 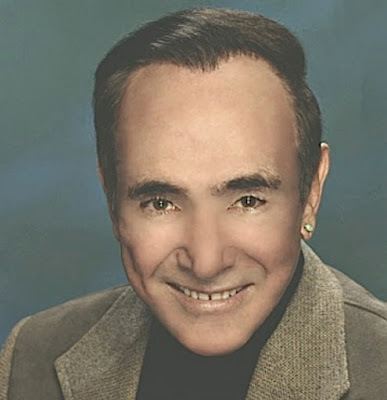 Ernie would tell me, "Don't try to play the scene, just be it!" Q: What are your more recent memories of Mother with Albert Brooks? DR: I was very lucky to get that great part. Albert is such a wonderful writer and director. It was a tough movie, because it's really a two-person show. So much dialogue, and you had to underplay. Again, like The Catered Affair, understated. Also, the reason I wanted to do Love Letters. I mean I love doing my act, but I miss acting. I wanted to do Mother on television, but Albert doesn't do television. Q: What about a project for you and Carrie (Fisher)? DR: We'd love it, so I told her, "Write something!" There's nothing out there. You have to write your own material. We're available. Q: What's next for Debbie? Another book? DR: A Disney movie for children, called Halloween Town. I turned down 42nd Street for Broadway, because I don't want to do 8 shows a week. Q: And Unsinkable Molly Brown in Long Beach was your last musical onstage, right? DR: Well, I'm in good shape. I love what I do, so I think that's the key. I don't have to retire to be happy. Q: Any advice for young actors? 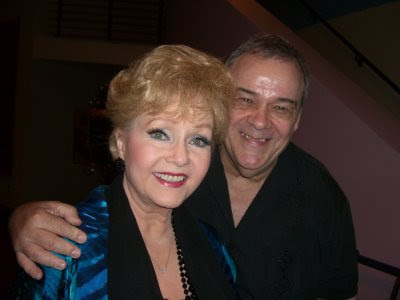 Debbie Reynolds is happy with her accomplishments, but talked about building her Motion Picture Museum in Tennessee due to the lack of interest in Hollywood. This is something that she truly wants to happen. From my understanding the project is supported by Dolly Parton and in 2009 is still in the works.